Inconel UNS N06600 Sheets, ASTM/ASME SB168/424/443 Inconel 600 Sheets and Plates, Inconel 600 Chequered Plates, Inconel Alloy 600 Perforated Sheets, Inconel DIN 2.4816 Hot Rolled Plates Manufacturer, Suppliers, Exporter, Mumbai, India. 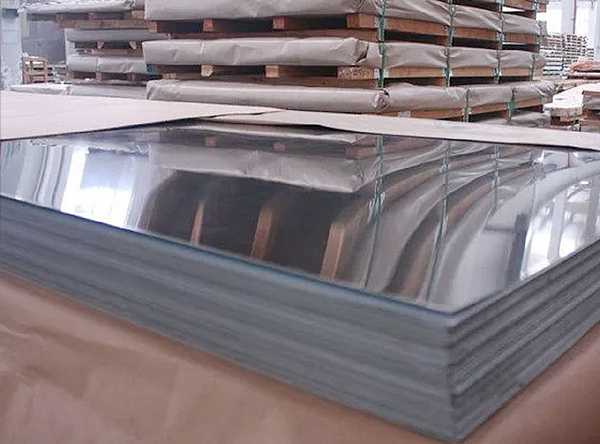 Inconel UNS N06600 Sheets, Plates, Inconel DIN 2.4816 Coils, Inconel 600 Chequered Plates Exporter, Inconel Alloy 600 Perforated Sheets Manufacturer, Inconel DIN 2.4816 Hot Rolled Plates Manufacturer in India. Inconel Sheets, Plates & Coils are generally made up of austenite, nickel, and chromium as primary chemical components. Rexton Steel & Alloys is an eminent supplier and trader of Inconel Sheets and Inconel Plates of different specifications and grades. Our Inconel Coils are noted to possess distinguished properties which make them suitable for special applications. The material used for making our Inconel 600 Sheets is pure which makes them corrosion and oxidation resistant. We attain raw material and metal for manufacturing Inconel Shim Sheets and Inconel Perforated Sheets from renowned vendors. Our Inconel Hot Rolled Steel Sheets are oxidation and corrosion resistant. These Inconel 600 Sheet and Plates highlights astounding disintegration resistance, high versatility level and sturdiness. Further, these are available in different sizes as indicated by the requirements of our clients. Inconel Alloy® 600 is a nickel-chromium alloy designed for use at cryogenic temperatures and up to 2000˚F (1093˚C). The high nickel content of the alloy provides good resistance to reducing environments, while the chromium content provides resistance to weaker oxidizing conditions. The high nickel content of the alloy provides exceptional resistance to chloride stress corrosion cracking. It is often used in the chemical industry, heat treating industry, electrical, nuclear and aeronautical fields.